Yesterday AUDUSD moved with bearish bias but today it started with a bullish candle. 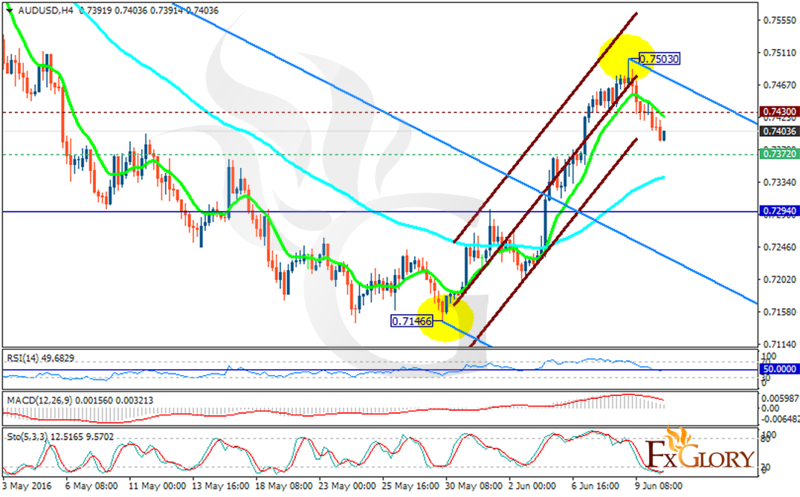 The support lies at 0.73720 with resistance at 0.74300 which both lines are above the weekly pivot point at 0.72940. The EMA of 10 is above the EMA of 75 but it is falling down towards it. The indicators are not presenting any clear signal for traders. The RSI is located in the neutral area, the MACD indicator is falling down to the neutral zone and the Stochastic is not showing any momentum for price growth. After this bullish candle if the next candle appeared as a pullback then the price may fall to 0.7365 otherwise the pair will go up and move in higher ranges.